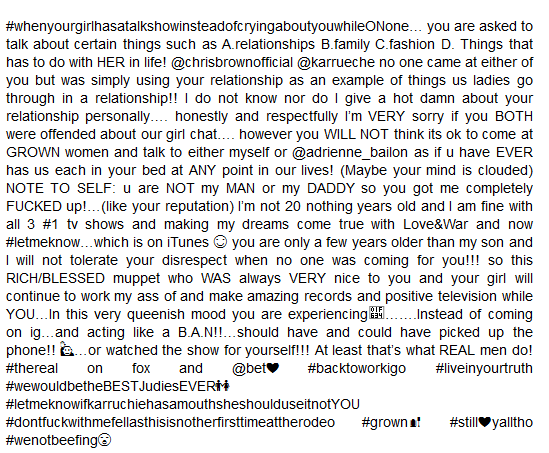 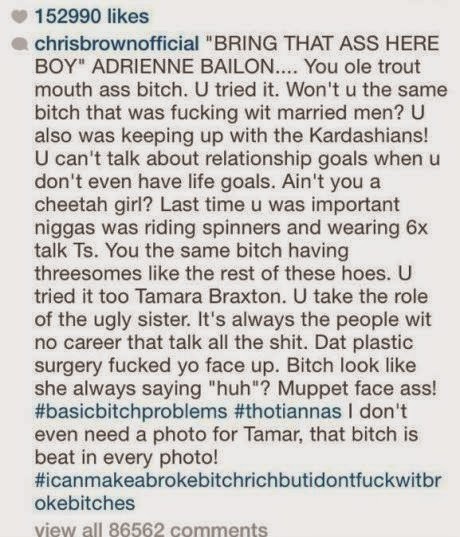 Chris Brown took to instagram a few hours ago to slam singers and hosts of The Real, Tamar Braxton and Adrienne Bailon after they mentioned his relationship with Karrueche on their show. 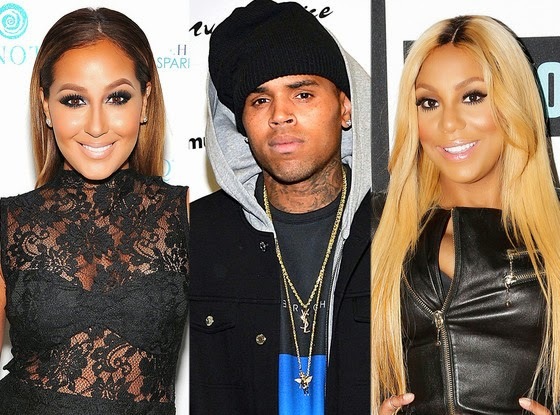 Speaking on the show yesterday, Adrienne and Tamar, while discussing relationships and how sometimes love can be blind, called Karrueche out for still dating Chris Brown. 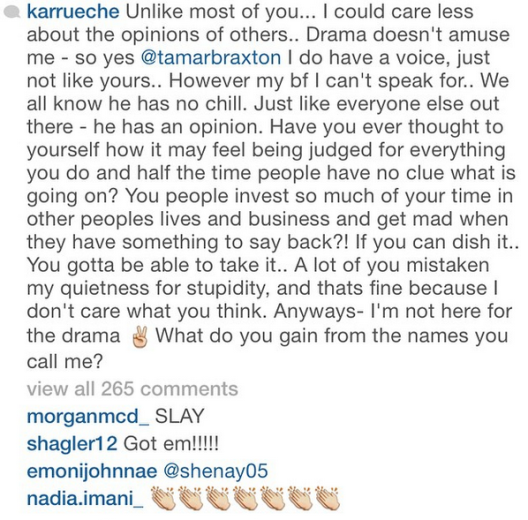 They said the only reason Karrueche is with Chris and tolerates his alleged cheating is because she and her friends love the fame.